That good job is something to be remembered by every buy-to-let landlord, as well as by the Brixton estate agent who looks after their interests. Landlords need tenants, and they need to remember that tenants differ in what they want from the landlord. Some tenants are more demanding than others, and this is true for both short-term and long-term rentals. Can we go further than that, and say that long-term tenants are more demanding than short-term tenants? To a point. What we need to focus on, though, is something we might call 'effective demand'. Effective demand is demand that the landlord meets. There will always be some short-term tenants who a landlord finds more demanding than some long-term tenants. A very short-term tenant may make demands that would be uneconomic to meet (though we should stress this happens very rarely). Overall, however, it’s likely that the things a long-term tenant wants will be more clearly defined, and the tenant will show more determination to get them met. The reason is simple: the long-term tenant is not simply passing through. This is his or her home for the medium to long- term. Of course, we all want our home to be as comfortable as possible and as convenient as possible, but also as right for us as possible. Decorative standards will be set higher. The condition of appliances and plumbing will need to be as good as possible. Parking provision is likely to assume greater importance in areas where parking is difficult. Does all this mean that landlords should concentrate on short-term rental, and ignore the more demanding long-term market? Emphatically no. The landlord gets great benefit from long-term rentals. There are no void periods when mortgage interest and managing agent fees are still being paid but the property is empty and there is no rental income; no costs for finding and validating a new tenant; and no worries about the vulnerability of an empty property. 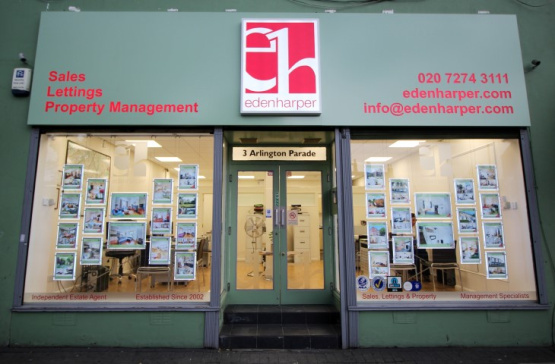 Letting agents in Brixton can tell you that the long-term tenant is frequently found to leave the property in better condition when the tenancy finally comes to an end. It has to be worth extra effort to achieve those benefits. The key is not to think about the long-term tenant as demanding, but to anticipate what the demands may be and meet them before they are requested. That’s the way to get a good reputation among tenants, which makes it easier to get the best tenants. For advice on deciding what balance of long-term and short-term rentals is best for you, contact us. These are challenging times in buy-to-let, but – handled properly – it’s still one of the best investments around.